When you make a change on a Cognos report, your change becomes the latest version in Cognos and overrides all previous versions. So, what do you do when you want to go back to a previous version? You can’t. This makes managing changes in Cognos very difficult. And what if you accidentally delete a Cognos report? Forget about it! That report is gone for good, and it's up to you to recreate all the data a second (or third) time. 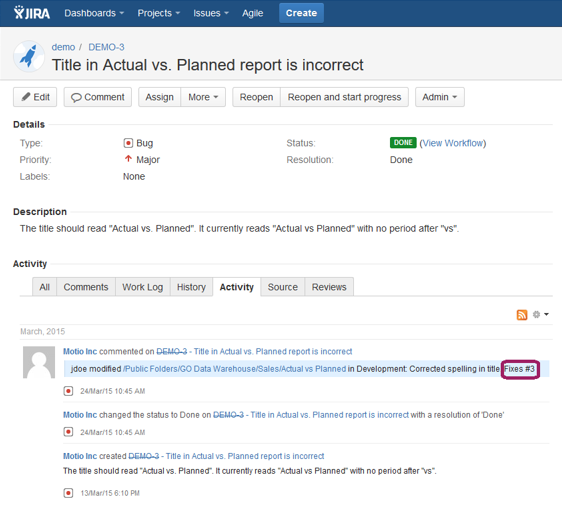 MotioCI's Version Control captures all sorts of changes (including deletions, content deployments, etc.) and gives you the ability to roll back to a previous version. Not only can you revert to a previous version, but you can also recover deleted reports. 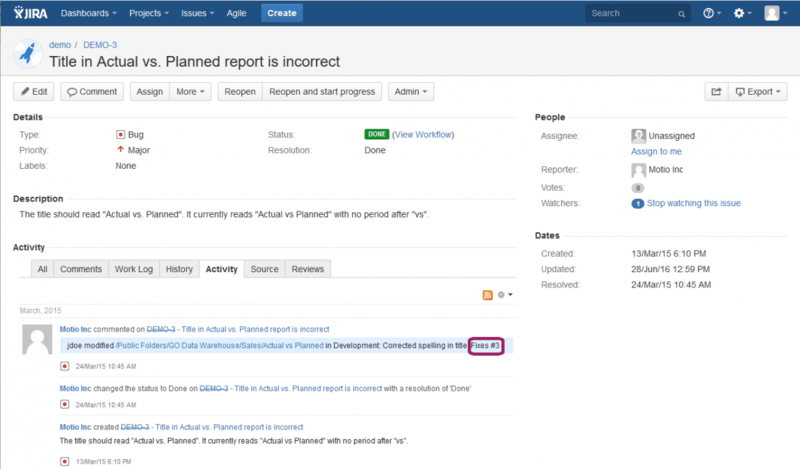 MotioCI's Version Control gives you a safety net for your work in Cognos. In Cognos out of the box, if a report was accidentally or intentionally deleted, it would be gone forever. 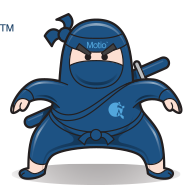 However, with MotioCI, any Cognos content deletion can be recovered. Furthermore, MotioCI uncovers who deleted the report and when it was deleted. "When our Dev content store crashed, we had just implemented MotioCI four months prior. If we had no had MotioCI, we would have been in a really, really bad situation. Right there, it paid for itself. We would have lost months worth of development effort that was only in the Dev environment." In the Cognos Analytics Authoring tool (Report Studio in prior Cognos versions), you can securely make a change that will not be overwritten before you are ready to commit it. This is done through MotioCI’s exclusive locking feature. All you need to do is “check out” your report. This ensures that only you can make changes to the report until you check it back in. This locking feature also gives you more control and security of the report you are editing. Once you're satisfied with your changes, you can check your report back in and include helpful commentary about the changes you've just made. In addition to locking reports, MotioCI allows you to check out and lock transformer models and Framework Manager models. MotioCI integrates with studios in both Cognos 10 and Cognos Analytics. Click here to learn more and see how easy it is to "check out" a report. MotioCI allows you to associate reference tickets to third-party defect tracking systems such as JIRA, IBM Rational ClearQuest, Trac, and more! 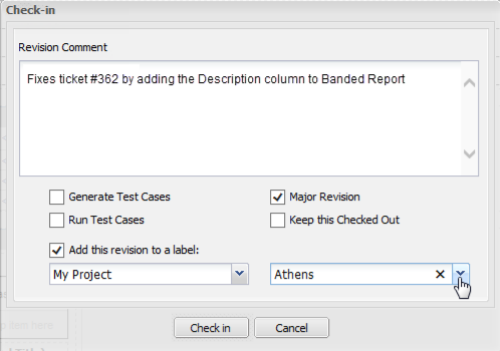 As you make updates to a report, you can associate them back to a change request or defect from tracking system tickets. This creates a more organized workflow, giving Cognos users an up-to-date view of which tickets have been completed, and which still need work. Spend your time resolving the issue, not on the afterthought of managing your tickets. The image on the left shows an example of the comments that are automatically added to each ticket in MotioCI. The line that says "Fixes #3" shows that the ticket was automatically closed. MotioCI also provides a link in the ticket that leads to its revision history. This cuts out the guesswork for managers by enabling them to see a side by side comparison of the edits and all the versions it took to complete the ticket. See how the resolution unfolded and stop relying on your developers to explain their notes. But it doesn’t stop there. MotioCI can version content outside the content store as well. This ensures that you're managing everything throughout the BI life cycle. XML specifications, names, tooltips, permission sets, etc.